Membership is transformative. Committing yourself to a religious community is about much more than joining a group. It is an entrance into spiritual practice, in which you can become your best self through words and actions that build attitudes and understanding. It is a practice of love, in which we value the worth and dignity, the divine spark in each human being. Participation in Community. CUC offers dozens of ways to connect with others, to create relationship and to work together for the greater good. Community adds richness to our lives outside of the work, home and family concerns that fill out busy days. Pastoral Care. If you have a problem, you can expect the energetic support of the congregation. This comes primarily through our Pastoral Care committee but also through our minister and many volunteers who cook meals, provide transportation and other assistance, and offer expert counsel. Helping Decide the Congregation’s Policies. We are a democratic community in which the congregation is the ultimate decision-maker on matters ranging from selection of a minister to the annual budget. On a day-to-day basis, we are governed by a Board of Trustees elected from the congregation, to which the minister and all committees report. Having Your Voice Heard. All members can expect that their opinions will be listened to respectfully and thoughtfully. Your view may not always carry the day in the ongoing “conversation” that is congregational life, but your independent voice will be valued. Attend Regularly. Sunday is the high point in the week for our religious community, and members are encouraged to attend Sunday worship services as faithfully as possible. Stay Informed. Read CU In the News, our biweekly newsletter, for information on upcoming sermons, religious education classes, social justice projects, congregational policy issues, fundraising and many other enjoyable social activities. You can also check the calendar for the latest information on upcoming activities. Share Your Time and Talent With Us. Central Unitarian Church depends on volunteers to help teach classes, produce our worship services, and engage in social action — not to mention fundraising, caring for our facility and managing our congregational life. Learn more about our programs under For Members, Religious Education and Service to Others. Financially Support Our Mission. We also depend on our members to pledge annual financial support so that we can be effective in carrying out our ministry of service to the congregation and the greater community. 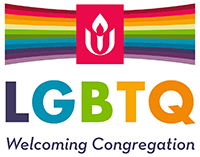 To learn more about membership in Central Unitarian Church, email membership@cucparamus.org.